Let us help you enjoy fresher, cleaner and healthier air at your Winston-Salem home with our effective vent cleaning services. The vents in your home can accumulate a fair amount of dirt, pet dander, and other debris that can be challenging to deal with. Here at Steam Source in Winston-Salem, North Carolina, our vent cleaning services make it easy to have this important task done regularly. If the vents to your HVAC system are dirty, there is also a good chance that the ducts are, too, so we usually tackle both of these tasks at the same time. It may seem unnecessary to concern yourself about duct work when it is not something you see. 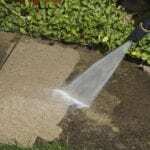 However, significant debris can be lurking there, including rodent feces, spiders and other insects, and mold. Dust, pollen, pet dander, and other contaminants aren’t exactly something you want circulating through your home, either. 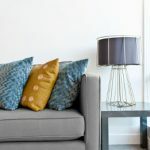 If someone in your home suffers from a respiratory condition, such as asthma, allergies or COPD, these things can be exacerbating their symptoms. With regular duct and vent cleaning, they may have fewer symptoms and your family could experience fewer viral infections as well. 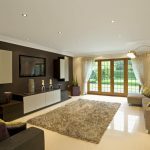 Another potential outcome of not taking care of duct and vent cleaning regularly is that your home’s HVAC system has to work harder to compensate. This means higher utility bills, more frequent repair bills, and a shorter lifespan for the equipment. If you are interested in enjoying fresher, cleaner, and healthier air in your home and preserving your HVAC equipment and utility budget, give us a call to schedule duct and vent cleaning. We look forward to hearing from you! 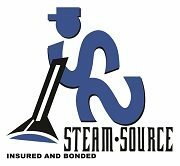 At Steam Source, we offer vent cleaning services in Winston-Salem, Greensboro, Kernersville, Clemmons, Advance, High Point, Mocksville, Pfafftown, Jamestown, Oak Ridge, Summerfield, Lexington, King, Walkertown, Colfax, Lewisville, Welcome, Bermuda Run, Thomasville, Yadkinville, and Walnut Cove, North Carolina.